Background: Chef Michael Shortino, formerly of Baku in Southpark, opened a traditional ramen house in South End in May 2015. Order this: Seriously, the Rice Krispy Squares. These are served with a side of spicy raw tuna and ponzu dipping sauce--really delicious and fun to eat. The Tori Kara Age (Japanese fried chicken) is so light and oddly refreshing for fried chicken; it's served with fresh mint (killer) and a chili mayo dipping sauce. Of course, the ramen is spectacular. The noodles are made in-house with local NC wheat, and the proteins and ramen bases can be mixed and matched at your request. 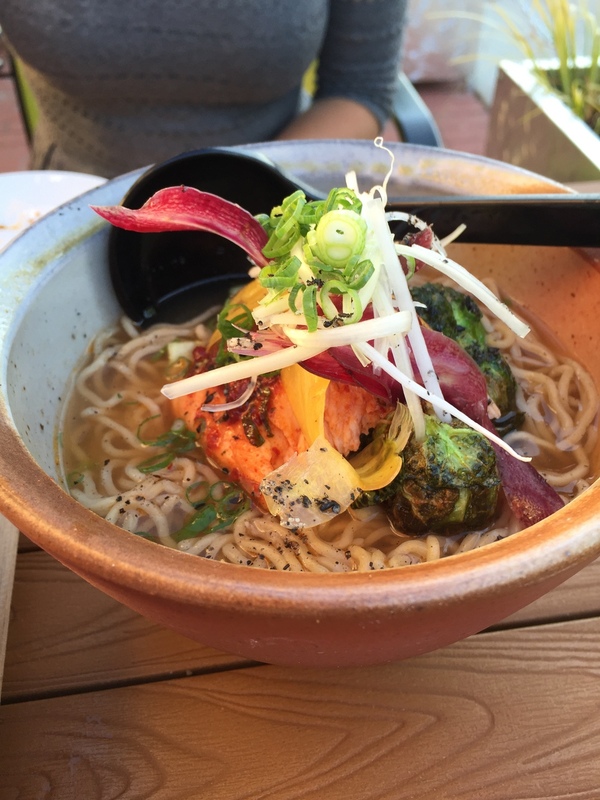 Top Ramen (hah) honors: Fire & Ice--the chili paste on the salmon is life changing. For sides, the fried brussels sprouts with sweet soy, sesame, and bonito put all other fried sprouts to shame (no joke, these are on every menu right now). Their cool specials’ board (“Fresh Sheet”) always has something delicious, too—duck buns ftw. Dessert: Rotating flavors of house-made soft serve ice cream. Flavors range from amazing to incredible: sweet corn, wildflower honey ginger with peach cobbler, Korean hot chocolate, strawberry basil…yes, please. Atmosphere: The space is very modern and fresh feeling; we especially love the cool Japanese artwork on the bathroom walls (and floors!). The downside is that the inside seating area is pretty small, and main table space is a long high-top with stools (boo). The outdoor patio is lovely, and will be even nicer in the fall. Southern Hospitality: Service is laid back, and the staff is more than happy to give recommendations and accommodate requests—like when I asked for soft serve to-go (I am notorious for requesting ice cream to-go...sorry, not sorry). Frankie’s Notes: Southend dining scene on the verge (the most cranes); rice krispies, but with tuna; writing menus on craft paper; floor octopus; ramen slurping like a boss. Parking: The restaurant is situated on a corner near the Bland Street light rail station, attached to the Post Southend apartment complex. You can park in the garage for up to three hours.